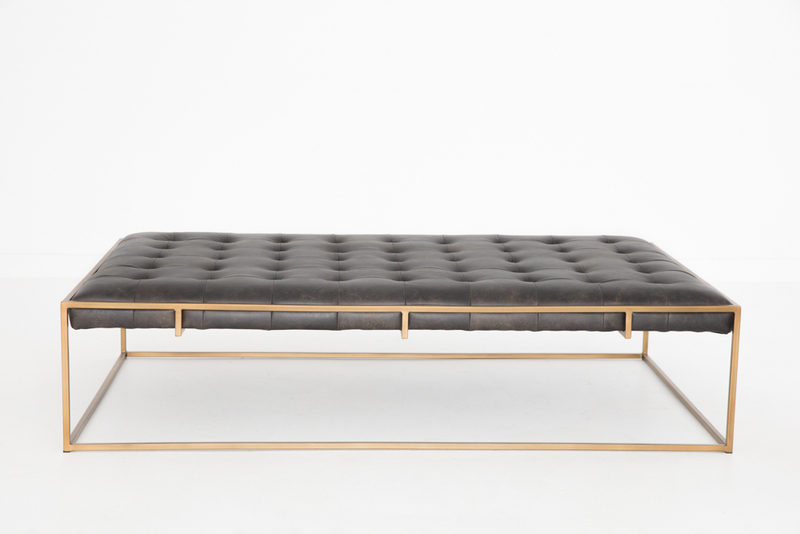 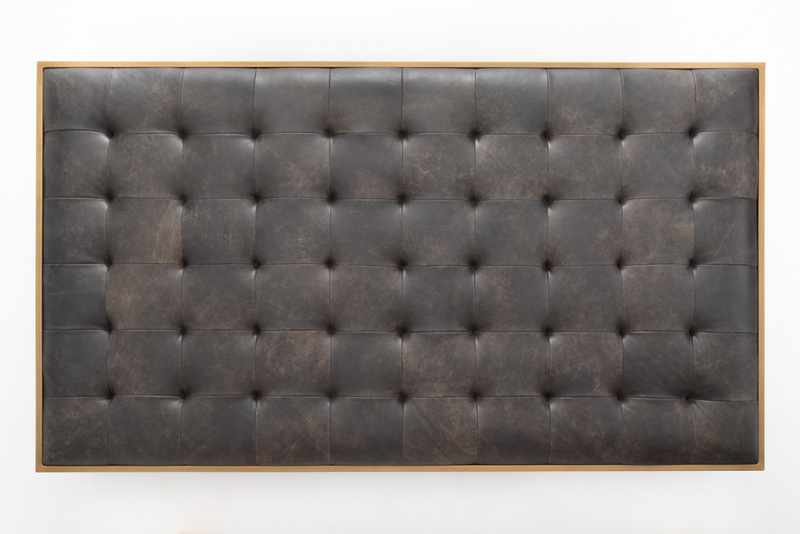 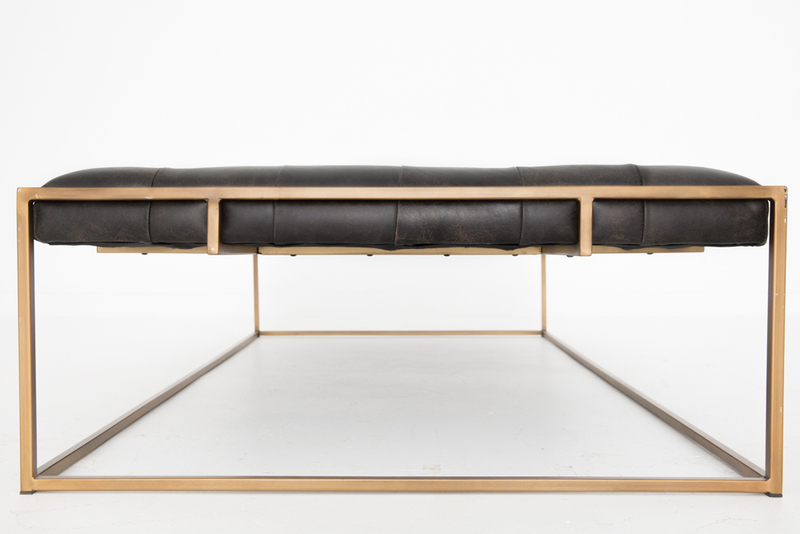 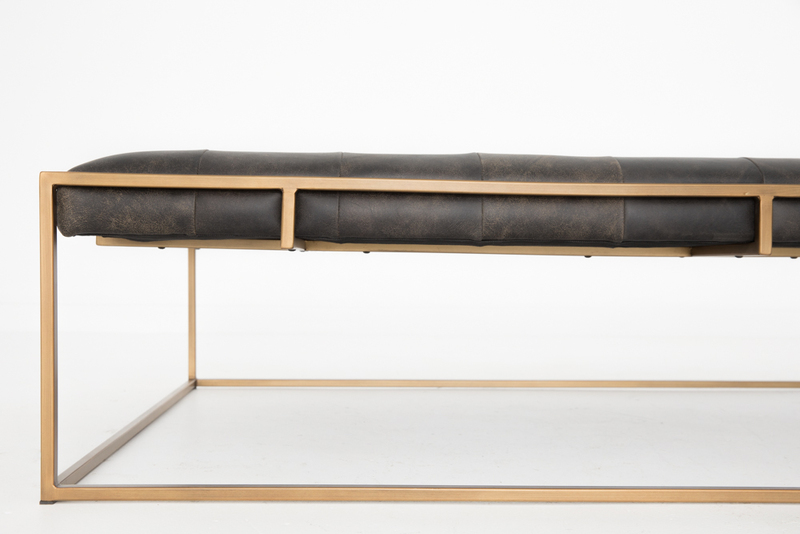 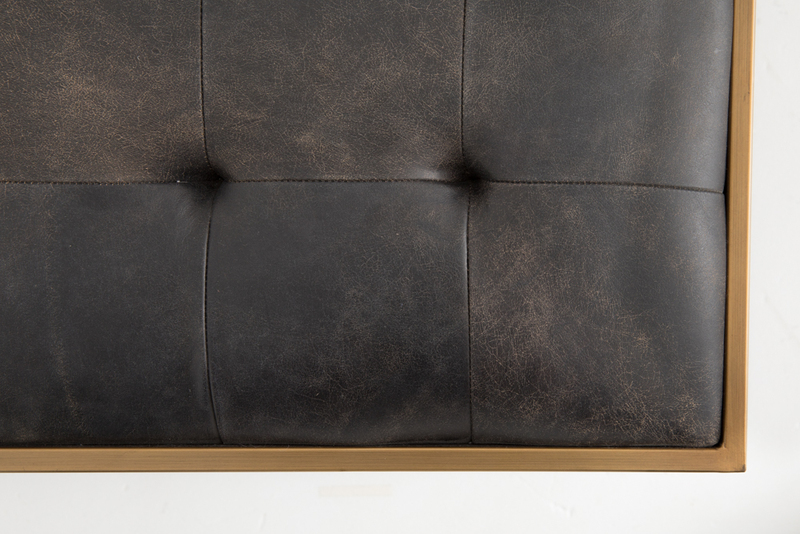 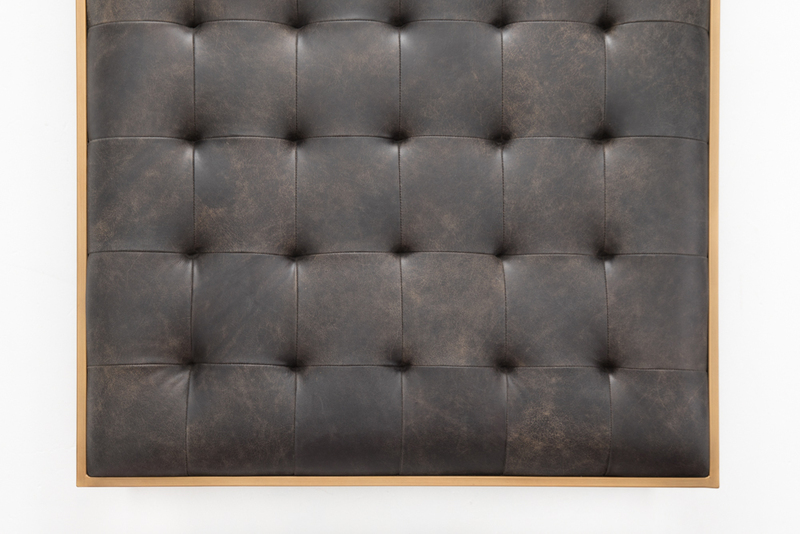 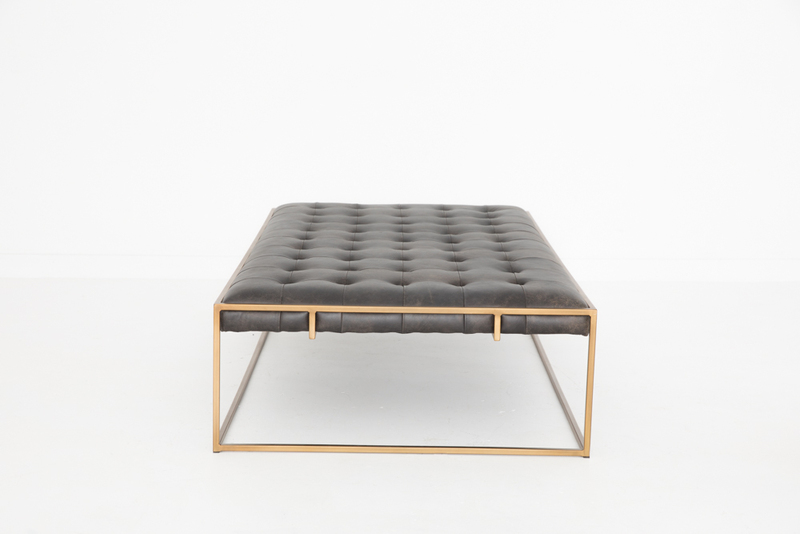 Black leather worn ottoman with brushed gold frame. 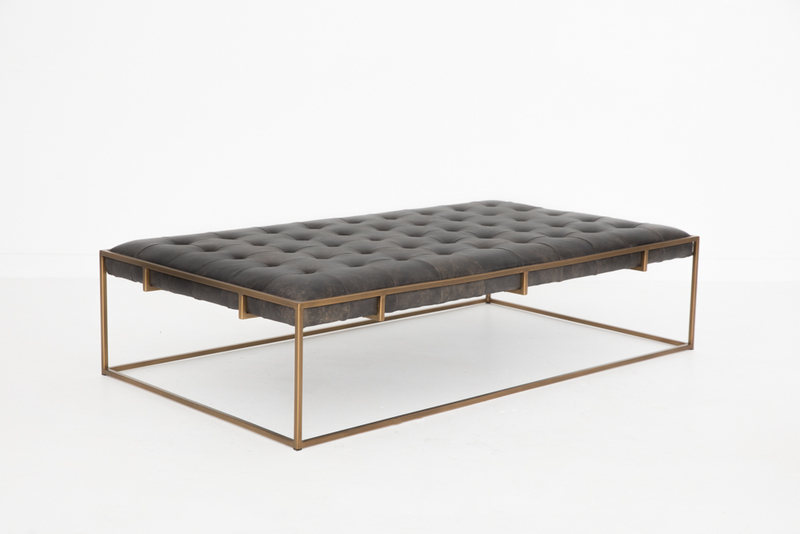 Use it as an ottoman or coffee table. 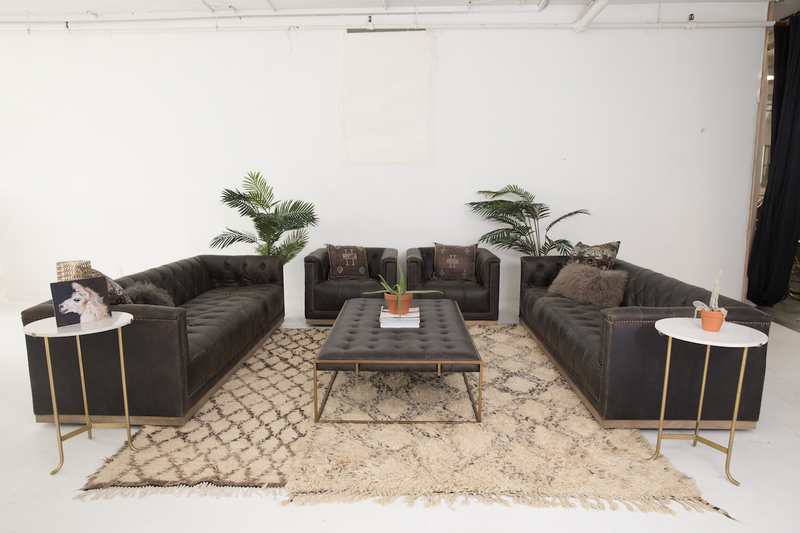 Use it with anything, but if you like things to match, check out the Devin Sofa and Devin Chairs.